In Magic finance, there’s always the next thing. Up-to-the-minute pricing, smart phones, Twitter, and daily articles are all things in Magic that have given us access to a knowledge base that would have made the Magic financier of yesteryear a fortune. Before smartphones permeated local shops, we could gain an edge by watching prices go up on SCG and take advantage of the analog lag time for that new information to reach the stores. Now we just log onto MTGStocks every morning and check out the interests page to find out every card that’s moved more than two percent. These days, we’re forced to look to the future to gain an edge. We evaluate cards in a vacuum. We test cards to evaluate them in context. We predict what cards will do if X,Y, or Z are true in a given format … but at best, most of what we do is make educated guesses based on historical trends. Modern Masters 2015 is just over a month away and the speculation at the treasures inside is already rampant. We’re mere days away from spoilers—there’s just another week or so of articles featuring Mark Rosewater and friends patting themselves on the back for the resounding success of Dragons of Tarkir before we get to see the contents. But the fix is in. On a level playing field where everyone has access to the same information, the guy with access to hidden information reaps the greatest rewards. I didn’t really think much of it, as I bought in on my playset of Onslaught fetches at the $15 mark years ago, so I could absorb any price crash without taking a loss … and then other friends told me that they knew a guy who heard from a reliable source that fetches were getting reprinted. I took a look at the card values and saw that Polluted Delta was over $100 at the time so I decided to “short sell” my Onslaught fetches, keeping only the copies I had in my Commander decks, and left the funds in limbo in case I had to rebuy. Obviously, I did not have to rebuy. At this point, you should already be in a holding pattern with your Modern staples. Now is not the time to be buying Tarmogoyfs or Dark Confidants, or anything expensive for your Modern Deck, for that matter. Most of you know not to be making any big moves right now, but that doesn’t mean you can’t still move out of vulnerable positions if the opportunity presents itself. Just like before, a guy that knows a friend of an uncle of the gal that works out with someone that is married to a guy at the factory that has friends at Wizards has heard some stuff and that information has come to me through multiple channels. If there’s any guarantee in life, it’s that as soon as you swear someone to secrecy, that person will tell at least one person as long as they promise not to tell anyone. Wink-wink, nudge-nudge, say no more. Well, maybe a little bit more: it’s not like any of these cards are a surprise to anyone … except maybe Kiki-Jiki, not sure what that guy’s doing here. There’s another phenomena associated with Modern Masters that I want to talk about—the rising tide. As the saying goes, a rising tide floats all boats. A few months after the first Modern Masters release, we saw a sudden surge in price for many of Magic‘s most expensive cards. Dual lands, Power 9, and other Legacy staples all surged upward in price in the winter of 2014. Many theorists think there is a direct correlation. Glad you asked. So with the first iteration of Modern Masters, players were essentially able to spend $7 to get a pack of cards that had a high likelihood of being worth significantly more than $7. Other players had the opportunity to buy sealed product by the box or case at or below retail from unwitting shop owners. Months later, many players and collectors were flush with”new money” from these gold-stuffed boosters and stockpiles of appreciating sealed product. Then the trade-ins began. As a retailer you notice when your customers are flush with cash, whether that be actual cash or virtual dollars like we see in the value of Magic cards. When you have more and more customers trading their virtual dollars in for your high-end inventory, you adjust that price upwards. The mountains of trade inventory that was being thrown at dealers from the release of Modern Masters and the infinite wealth contained in Return to Ravnica caused a groundswell for high-end card prices. Or maybe it was just a coincidence. I know that at the time I plopped down a mountain of trade stuff for a sweet Mox Sapphire at a pretty reasonable price and did not wait long for it to appreciate substantially in value. Even at $20 or more a pack, you still see players throwing money at packs of Modern Masters for a chance at hitting that $200 Tarmogoyf. 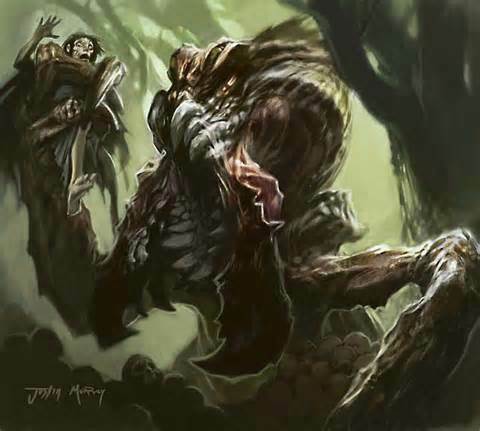 Most of us have seen these savages… and most of us know someone that hit it big opening a ‘Goyf or two among their winnings. What did they do with their new-found wealth? Dual lands have settled back down a bit—they’re still up significantly from the time of the Modern Masters release, but they’ve cooled a bit as the pressure from all that “new money” being spent combined with a slight humbling of Legacy at the SCG Open series. So what’s your strategy going forward? First of all, you shouldn’t be buying any Modern staples until the spoilers for Modern Masters 2015 come out. Is everything you need for your deck going to be in it? Unlikely. Is every rare in the set going to be worth the big bucks? Unlikely. But you can virtually count on some of the cards you need showing up and experiencing a subsequent price drop. If you’re able to “deleverage your position” on any cards that you are certain will be reprinted, now’s your last chance. I wouldn’t recommend trading all your expensive cards to your best friend and laughing when they get reprinted, but there are still people that “just want to finish the deck” and don’t really care if a reprint is coming. Besides, we don’t know what artwork is going to come with the reprinted cards and some people just prefer the first editions, so don’t feel guilty. Keep in mind that no information other than what has been publicly spoiled by Wizards is 100 percent. Be ready to buy the cards that don’t get reprinted. There are already rumors circulating that Serum Visions is being skipped over in this printing, a common that is already seeing significant play and floating around $8. Cards like this will jump in price almost immediately if they dodge a reprint because that very risk is keeping a number of these cards’ prices in check. Once that risk is gone, people are going to take action. For those that are trying to complete their Modern decks, there’s a good chance that many of the cards you need will plummet in price with a reprinting. 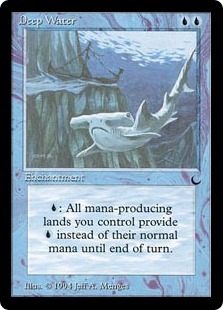 For every card price that takes a brief hit and recovers like Tarmogoyf, there’s going to be a Keiga, the Tide Star that drops 40 percent and never regains an inch. If you’re trying to complete your Modern deck, be ready to trade with a lot of people. Because the retail of these packs is starting at $9.99, the packs are likely going to be bought in smaller numbers by more people. Drafts will be upwards of $35 instead of the $25 we saw last time. Psychologically, it’s a lot easier for a player to lose $50 on drafts than it is $70, so expect the more casual players to draft this just a single time or not at all. 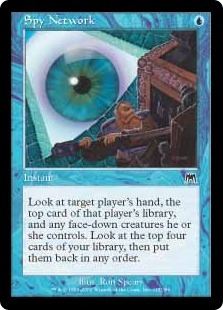 Be ready to watch many of your other Modern, Legacy, and even Vintage staples see some renewed growth. Once the risk of immediate reprint is removed and combined with an influx of players that all have parts of Modern decks, we’re sure to see a few new players at the weekly Modern events. Players that already have everything they need from Modern will push this wealth towards something bigger. 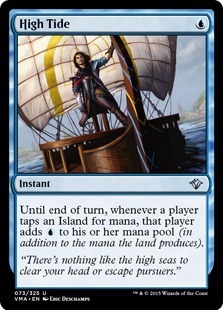 Maybe that’s Legacy … maybe it’s the last piece of power … maybe it’s a big dumb foil for their Commander deck. If you are sitting on the cards that people are going to desire, bide your time. Being the first seller is often great, but being the last seller can often yield far greater rewards. 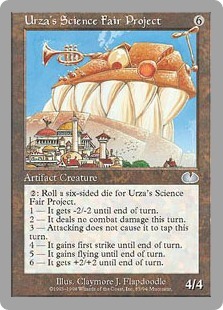 “For every card price that takes a brief hit and recovers like Tarmogoyf”. Do you feel like Tarmogoyf is not likely to drop in price? Or is it going to for a short period of time, just to climb back around 200$? I just read that Clique is being reprinted as a new-art Mythic. Same question here then, how do you think this reprint is going to impact its current price, on a mid-term horizon? 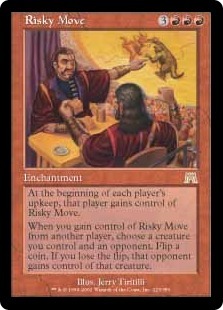 Do you think thaht, for example, Dark confident would follow the same path in the event of a reprint, as it CURRENTLY sees a lot less play in Modern ? I think each of these respective cards is going to behave differently. Dark Confidant is a card that is clearly good, but has fallen out of favor over the last couple years and has no real good home. I expect him to settle in the $40-50 after reprinting because there just isn’t a high demand for Bob in decks. Vendilion Clique is a little different, this card is a fantastic card in both the main deck and the sideboard for most blue based decks in Modern. While V-Clique isn’t quintessential in these decks, it does see quite a bit of play. I expect Vendilion Clique to take a decent hit due to reprint, but most players will be choosing one art or the other and “reppin’ it new / old school.” I don’t think the reprint will have a huge effect on the value (less than 20%) and the card will relatively quickly regain much of it’s value. Tarmogoyf is a card that behaves differently in the wild. You rarely see single Tarmogoyfs because they travel in groups of four. As I’ve said in articles before: Give a man a ‘Goyf and he’s going to want three more. As i thought, I’ll hold on to my goyfs and Clique for the time being, and see what happens next. I believe that comment was referring to the price trajectory of Goyf following the first Modern Masters. Around release Tarmogoyf was about $110. After release it dropped a couple dollars then gradually climbed up to ~$200. There was nothing gradual about Tarmogoyf’s climb, it literally happened within 30 mintues. Star City sent their agents to buy every single Tarmogoyf in the room at $100 during GP Vegas … was quite a bold move at the time. There is always considerable risk involved in going deep on cards that aren’t printed in MM given that some of those cards may not have been included because they’re being reprinted in an upcoming expansion, ala Thoughtseize in Theros. Unless, of course, one can flip them for profit prior to the release of the spoilers for those expansions.